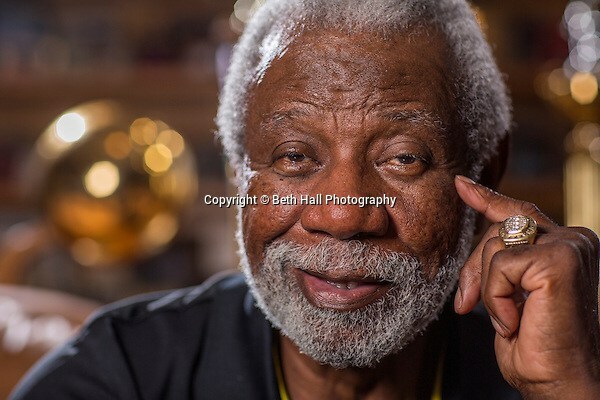 I recently photographed former Arkansas Razorback coach Nolan Richardson. It was such an honor to meet him, and I must say that I was a little star struck. When I look back at the last 20 years in Fayetteville, Nolan has always been a presence. I began attending the U of A in 1995 when the crowds at the basketball games were still high on the 1994 championship win. It wasn’t a bad year though, they won the SEC West and made it to the final four. I’ll never forget the memories made in college that centered around basketball: games with neighbors from my dorm, waiting to buy season tickets, looking on the cork boards to people who were selling tickets and the atmosphere. It’s just never been the same at Bud Walton Arena. When I started working for the Arkansas Democrat-Gazette, Nolan was the head basketball coach. There are two things I can say about my career to let people know that I’ve been around for a little while: 1) I shot film when I started working at the paper. This experience included using a road warrior and processing in the men’s room 2) I photographed Nolan when he was a coach at the U of A.
I was really excited when asked to take a portrait of Nolan. We decided on the trophy room in his home that is full of posters, plaques, photos and basketballs from the many years he spent coaching. We chatted about his busy life, and his upcoming induction into the Naismith Memorial Hall of Fame. He said he was voted in on the first try. I couldn’t help but be happy for him. So Congratulations, and Go Hogs!